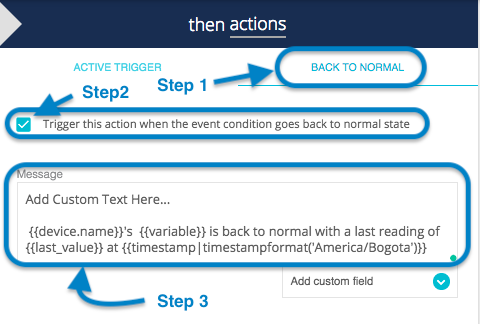 After creating an Event or Alert, it is inevitable that the event will be triggered at some point; one great feature of Ubidots Events Engine is the "Back to Normal" verification notification. To activate a Back to Normal notification, simply follow the below three steps. 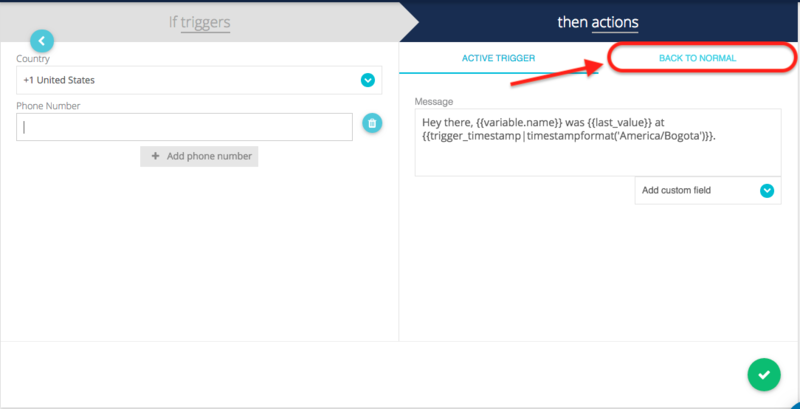 Step 3: Add the Custom Notification Text as you see fit. Step 4: Be sure to save your results.